We offer for sale 100 plus varieties of heirloom tomato in many shapes, sizes and colors. Purchase one of these mouth watering heirloom plants and you not only bought a tomato but your buying a little history to go in your tomato patch or vegetable garden. Abe Lincoln : A popular heirloom tomato introduced in Illinois in 1923 by the Buckbee Seed Co. These tomato plants produce brilliant red, round, medium-sized, 12 oz. tomatoes in clusters up to 9. A good disease resistant tomato. Delicious, rich, slightly acidic tomato flavors. Amana Orange : Huge heirloom beefsteak tomato named for the Amana Colonies in Iowa. This plant produces big, regular leaf plants that produce above average amounts of beautiful light-orange, irregular shaped (fluted) heirloom tomatoes that can grow to 2 pounds or more, with an average diameter of 5 inches. Excellent sweet, almost tropical fruit flavors. Amish Paste : Very productive old Amish heirloom from Wisconsin that produces up to 8 to 12 oz., deep-red oxheart-shaped, meaty fruit that dates back to the turn of the century. Lots of sweet, tomato flavor from this coreless meaty fruit that is not too acidic; therefore making it a great slicing and sauce tomato. Andrew Rahart's Jumbo Red Tomato Plant : This New York heirloom beefsteak (passed down from Andrew through his son John) has 12 to 16-ounce fruit with intensely red skin and dense flesh. This rich delicious juicy tomato will likely burst in your mouth. Arkansas Traveler Tomato Plant : A 100 year old heirloom tomato that was grown throughout the South from northwest Arkansas to North Carolina. 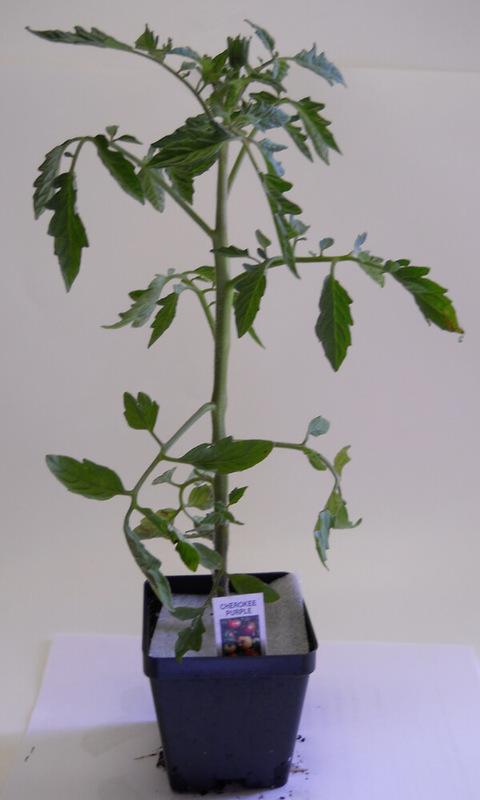 This plant produces indeterminate, regular-leaf, 6', vigorous tomato plants that yield abundant crops of 8-ounce, round rose-pink tomatoes Considered to be one of the best tasting tomato varieties with well balanced sweet/tart flavors. Arkansas Traveler is much esteemed for its ability to produce flavorful tomatoes under normally adverse conditions high heat, humidity or drought. Resistant to cracking and disease. Aussie Tomato Plant : A favorite heirloom tomato variety from Australia. A dependable red heirloom tomato for the market, home and as a show tomato. This tomato plant produces indeterminate, regular-leaf tomato plants that dependably yield picture-perfect, copious amounts of 1-2 lb., glossy-red, meaty, fluted, beefsteak tomatoes that are LOADED with delicious, bold, rich and complex tomatoey flavors. Great disease resistance. Good show tomato. One to impress your friends with....A winner!